We still have to eat though and I love creating fun little recipes like this one to keep us going on these busy summer days. I wanted to create an Avocado toast that was a little more dessert like than normal but could still pass for an appetizer. This combination is perfect. 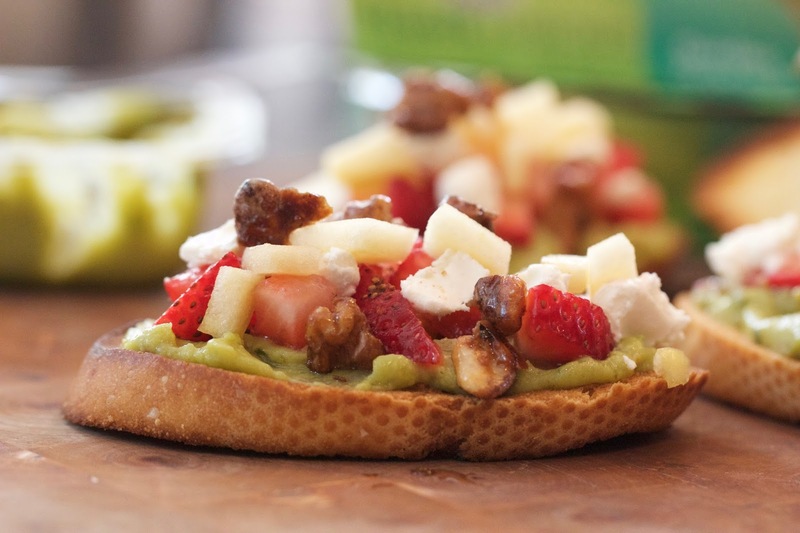 Smear a generous portion of Sabra's new Veggie Fusions guacamole on buttered toast and then top with chopped strawberries, goat cheese and some candied walnuts. Then I had some leftover pickled apples and added those to make it even better. 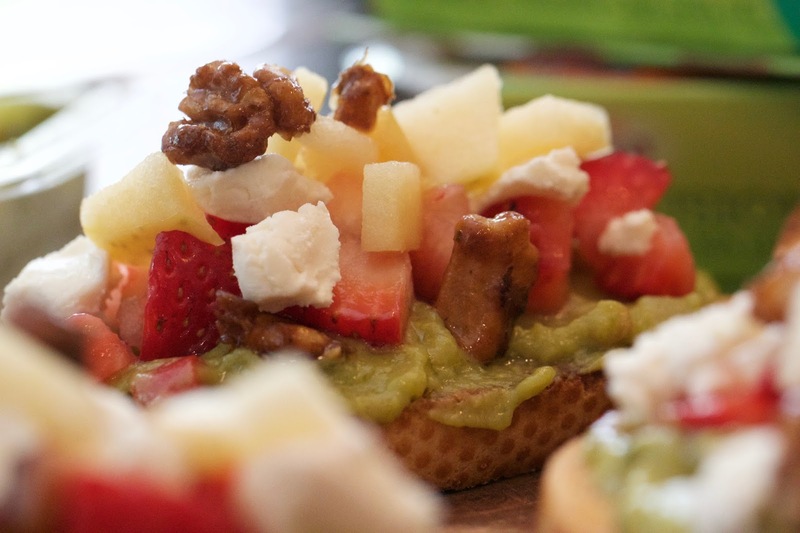 This is so easy to pull together and looks so nice on the plate. 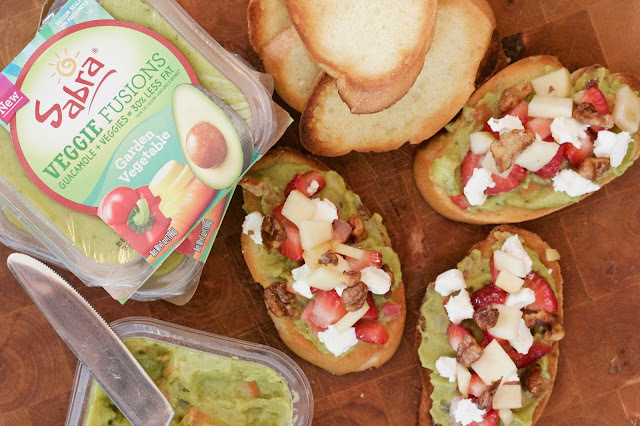 We are definitely loving all the new flavors of Sabra Guacamole Fusions too. 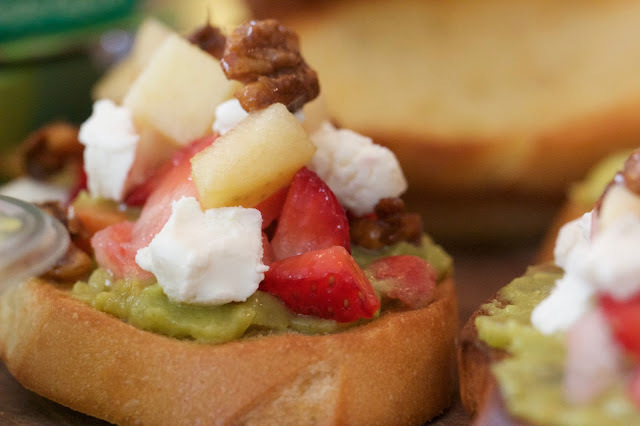 I had planned on using the Mango lime flavor for this recipe but by the time I got around to it, they were already gone. I wasn't sure about subbing in the Garden veggie flavor, but I actually loved it with this! All three varieties are amazing and feature 7 different veggies in each one. What's even better is that they have 30% less fat than classic guacamole but you'd never even know it. Check them all out today and get a $1 coupon as well! 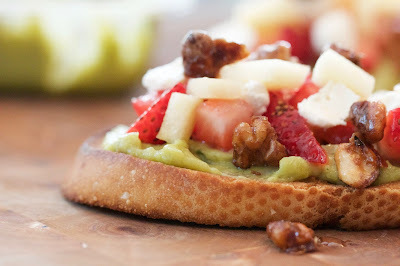 Spread melted butter over sliced bread, reserving 1 tablespoon of the butter. Toast the bread under the broiler until lightly browned. Remove and cool. In a small saucepan, heat the remaining butter over medium high heat. Add the walnuts and sugar and cook, stirring constantly until the walnuts are toasted and the sugar has melted. Remove from heat and cool. As a Sabra Tastemaker, I am compensated for this post. All opinions are my own. Long live the crostini! Seriously the best! You made it out to eat it.